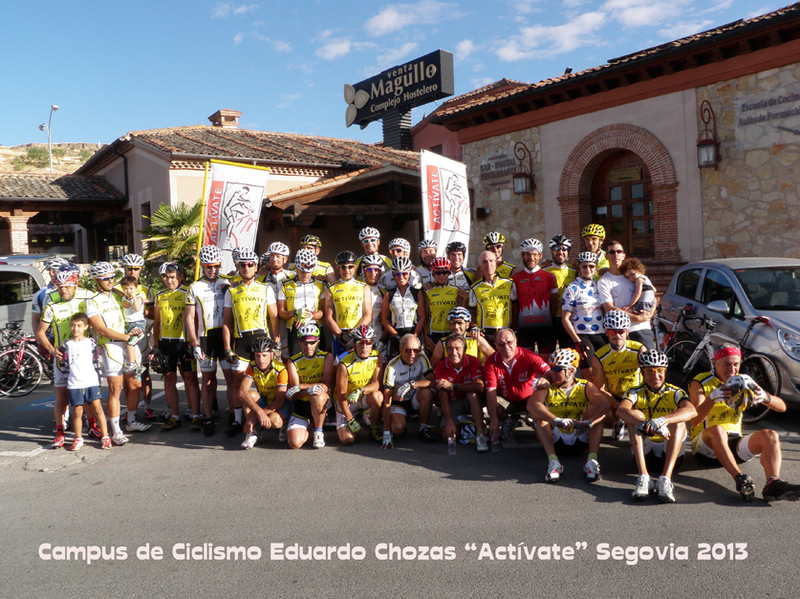 Last Day 3 August 19th finalize el Campus Cycling “Actívate” Eduardo huts for the second time was held in the magnificent facilities of the Hotel La Lastrillaventamagullo (Segovia) participants enjoyed four very full days of morning and afternoon (routes and conferences) in a great spirit of friendship that configure many of the participants are already great friends and regulars, primary objective of the campus cycling. We were thrilled involving a small group of 3 Brazilian Couple bikers headed Sao Paulo Luz Helton, regular at the campus, and Spain Cadet Champion and winner of the last two Cup races of Spain female Villarcayo and Zamora, Sandra Alonso, cyclist Torrevieja (Alicante) involved in the campus for the fourth time, in 2008, his first was in 2008 when he was only 9 years old, then performed as small sections of ups Morcuera group with cyclists 4, many, as his father, and left behind and had to stop because I wanted to continue. 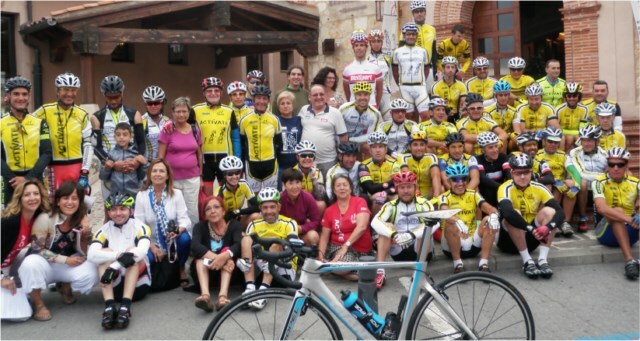 With 11 years old, in their third, rose to the Bola del Mundo and today, their 16 years old, compliments the 18 August, and we stretch the neck to most painted and shows great promise of the Spanish women's cycling. 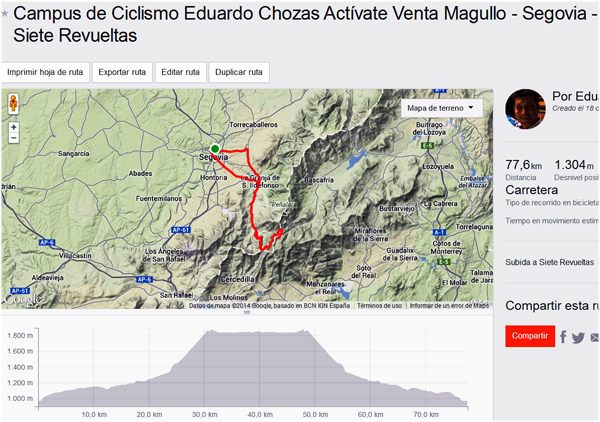 Although such data are also important, say performed 460 km and they amounted 7.150 four routes meters, highlighting two hard days: the route of the march of Perico Delgado, 159 km con 3.300 vertical meters, and Sepulveda route by river Duratón 125 km con 1.600 vertical meters, appointments in which many leading journalists and cyclists were given: Perico Delgado own (TVE), Antonio Alix (Euro Sport, Bicisport) who performed the two routes, Sergio Palomar (Cycling Fund and Bicisport) Eduardo and Huts (Cycling Fund and the Eurosport TV), besides Antonio Civantos former professional cyclist who led the group 1. 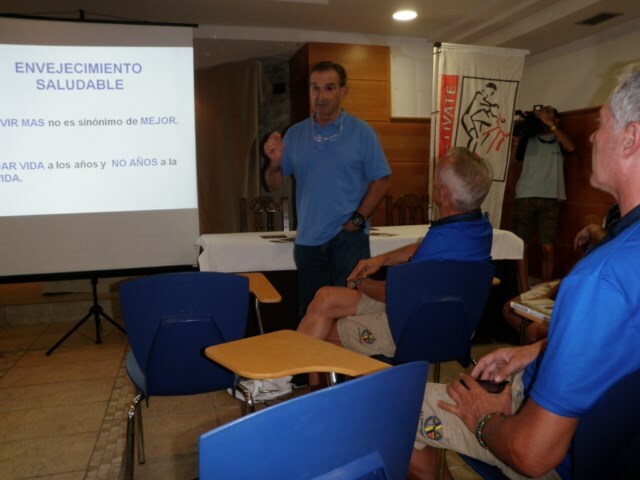 Chatting highlight Dr. Jorge Bartolome (Specialist in Nephrology) highlighting the importance of sport from the 60 years for the prevention of diseases such as cancer and other own inactivity and old age. David Smith talks about the importance of placing the rider on the bike, biomechanics as a tool for practice rider with more health and efficiency, as well as, the importance before buying a bicycle picture and know exactly the ideal measures. Alfonso Trivedi informed us of the latest Highway Code and the alarming trend of loss of rights of cyclist in traffic by the standards you want to enter the DGT as reported by the director of the DGT, a situation in which we must not be silent. Cyclists and roommates live a nice experience, beyond sports, an extraordinary resort devoted heart and soul to the well-being of participants campus. 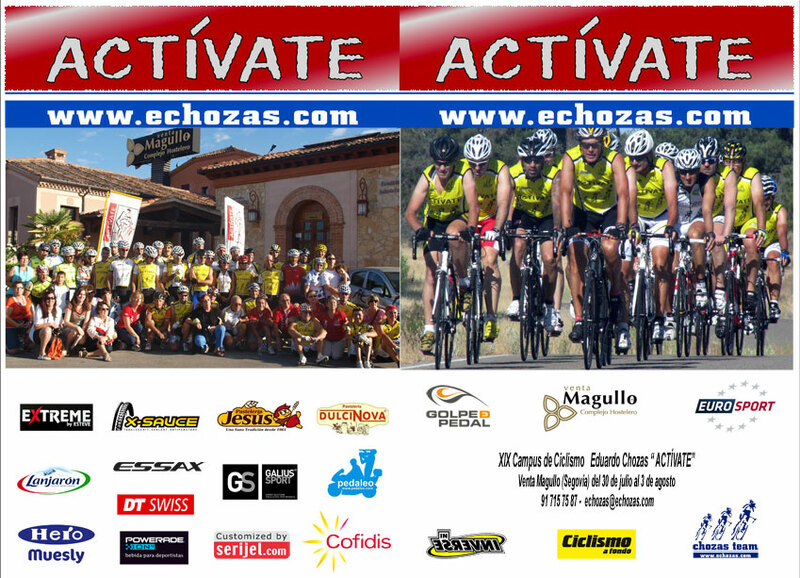 Sweepstakes Gift certificate for participating: gifts and Extreme helmets-1 189 Article, sets Cofidis team jersey-shorts, silliness Essax, shirt + Products can Sport, sets maillot-culotte Inverse, 3 Eurosport jersey 25 anniversary. And to all a t, maillot Actívate (participants soil), boat-flat liquid wax and X-Sauce with inscription. If you want to stay more days in the hotel have the option to do, after consultation and booking, at a price of 50 € person / day, Full board in double room 80 € single room. You can be more days before or after the campus. 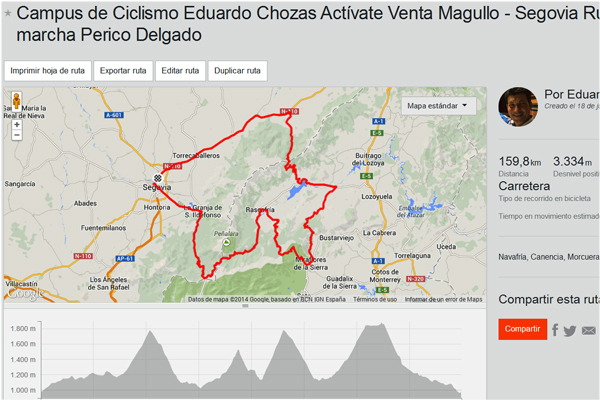 The arrival, the Hotel Sale Magullo, Headquarters Campus, is scheduled for Wednesday, day 30 July 2014, between 16:00 and 19:00 hours, to collect badges, Gift delivery, maillot o chaleco, distribution of rooms and shower campus. At 19:30 Temperature and informative welcome meeting. The output will be Sunday, day 3 August, after eating. It is very important that, before coming to campus, bike up with you: brakes, change and put new tires and inner tubes for your safety and that of others, so you get a good grip, avoid falls and punctures. 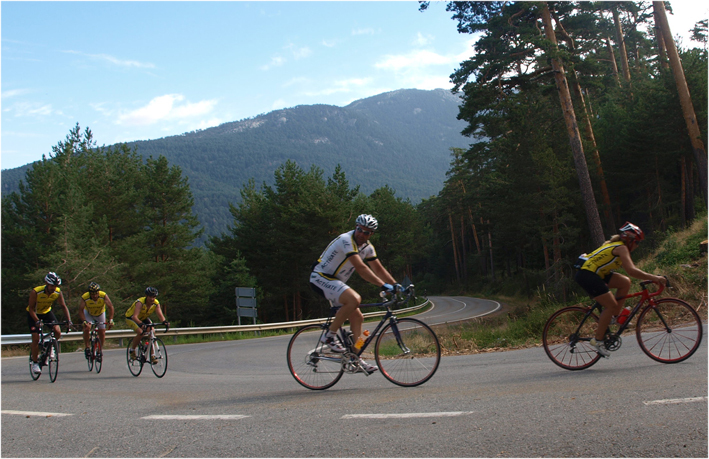 The 4 bike paths accumulate a 400 km by route de la Castellana Plateau and the Sierra de Guadarrama. 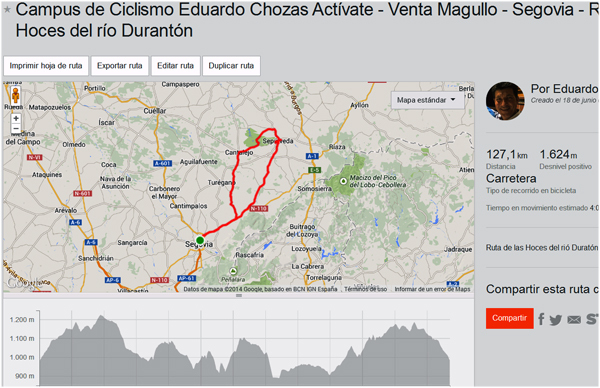 The temperature at this time, ideal for cycling, no excessive heat during the day and cool nights in Segovia. The campus has a lecture series that complete the activity, designed to improve practitioners' knowledge and enjoyment of cycling. The activity is designed for you to come with your partner to be part of the campus and will have different options for tourist recreation during the mornings or performing routes support vehicles, various leisure activities can be found at the hotel the tour guide Segovia. Routing is performed on 3 groups, according to the level of the participants, led monitors and support vehicles, with aid stations en route, Will you take a vest or jersey distinctive campus. In the afternoon there is a series of conferences and workshops. In the hotel the water and wine is on a bed with full board included. With registration you have liability insurance that covers you for damage you make to third. 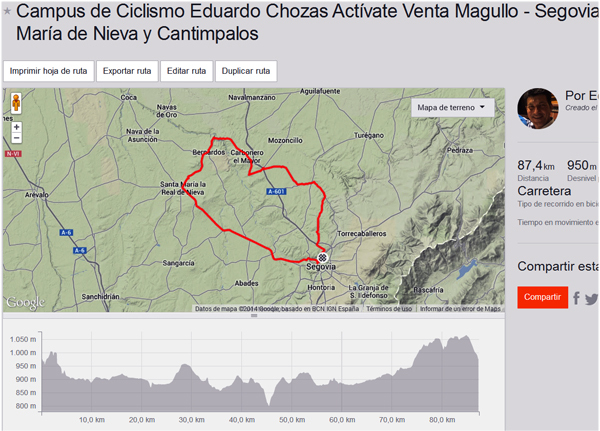 Route 3: 127 km, 1.624 m the Desnivel + Route of the River Duratón Sepulveda. 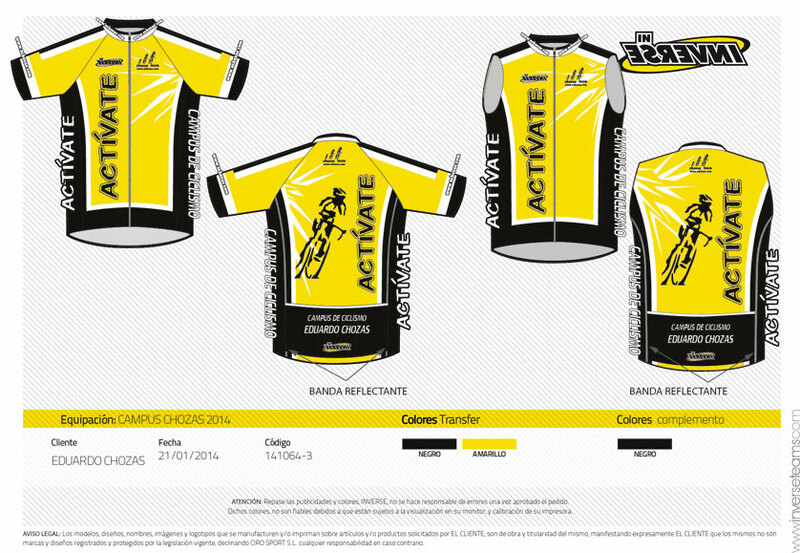 It is very important to wear the yellow jersey vest or will deliver, as we find many cyclists on the road, support vehicles will have doubts if you do not go with the uniform, I can not leave you believing that you are back on campus. Will 3 groups 2 monitors bike and support vehicle radio communication. Each group will be up to 33 Cyclists, Each participant is placed in the level that sees fit based on their fitness. If the group is too large or you can not keep up, monitors you indicate that you spend the next group, case necessarily must do to meet the level and the number of riders in each group. The Group 1 is the highest level, The Groups 2 and 3 They are quieter. Monitors each group will mark the location of the output, standing in first position the Group 1 and then the rest, in this order will come for the routes from the hotel parking. Each group will circulate in pairs, in parallel, monitors will give you directions to go in parallel with the wheel mate and the next Here are some recommendations to go in the group, the appropriate safety distance on front: of 1 a 2 m and to one side of the front wheel. Each couple will relieve each 5 minutes approximately. The system relay is for the rider who goes abroad ahead of his partner and is at the right, before, and the two stop pedaling for they quickly pass the entire group, This way nobody will be alone on the left side of the road at the mercy of a reckless overtaking a vehicle. In the long uphill stretches of the rhythm is free to the highest where a stop will be made to regroup and take refreshment, where will be located the support vehicle. The car will carry supplies and a spare, also warm clothes for you please take downs (vests, raincoats, etc.) However, Each participant must bring their parts: camera and inflator. It is mandatory to wear a helmet (Traffic Act) and spare tube and inflator.